This is a sensational domain name for any business around Sydney providing portable toilets. 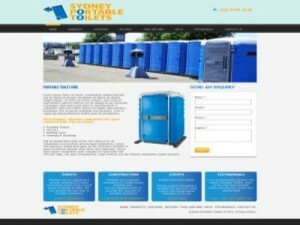 sydneyportabletoilets.com.au is crammed with the most relevant keywords for customers looking for your services. This will give you a fantastic boost up the Google rankings. With an excellent webpage in time you may find yourself on the front page! Almost 90% of all traffic clicks on the organic search results, this is where vast majority of the traffic is. Adwords is becoming very competitive and whilst very useful for businesses, can no longer be relied upon for a sole form of traffic. Add this domain name to your portfolio today to secure your business online for the future!